The Atlas will be built at VW's factory in Chattanooga, Tennessee. The 7-seat SUV goes on sale in the U.S. next spring. Editor's note: The headline on an earlier version of this story misspelled the name Atlas. 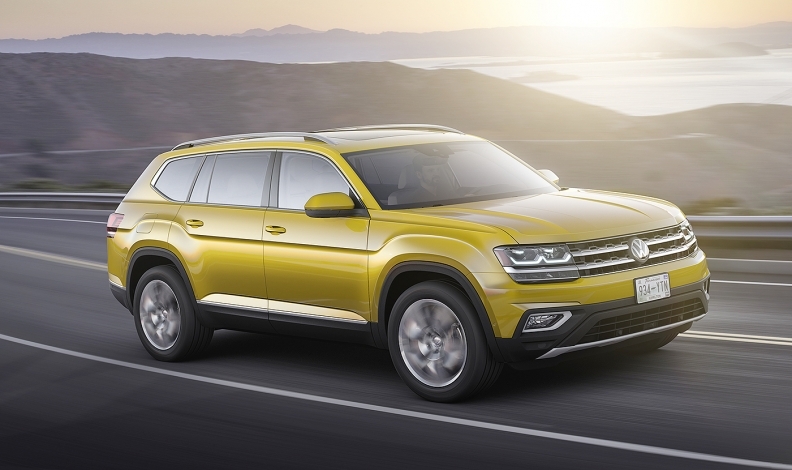 LOS ANGELES -- Volkswagen will export the Atlas large SUV to Russia from the United States starting at the end of next year, a source close to the company told Automotive News Europe. The executive, who has knowledge of VW's product plans, added that the Altas will be offered with a 2.0-liter diesel in Russia. The source said it is unlikely that the SUV will be sold in Western Europe. When asked at the auto show here this week for confirmation on the plan for the Atlas, VW brand's sales and marketing boss, Juergen Stackmann, said: "Russia is one of the markets we're considering." The Atlas, which will be build at VW's factory in Chattanooga, Tennessee, goes on sale in the U.S. next spring. The seven-seat SUV is a little more than 5000mm long, making it the largest passenger vehicle VW has ever built, Stackmann said at the launch. "It's at the sweet spot of the American car market at the moment," he said. In the U.S. the Atlas will be sold with either a 2.0-liter four-cylinder or a 3.6-liter six-cylinder gasoline engine. A slightly modified version called the Teramont will be made in China for sale there. VW has invested $900 million in its Chattanooga factory to build the new SUV alongside the U.S version of the Passat midsize sedan. VW will export a long-wheelbase version of its Tiguan compact SUV to the U.S. from its plant in Puebla, Mexico, next year to further strengthen its SUV lineup there.